Dr. James Calvin Carter, Jr. is the youngest child of the late Rev. J.C. Carter, Sr. and Mary Williams Carter. He was born in Greensboro (Hale County), Alabama, but was reared in Tuscaloosa, Alabama. Upon completion of the eleventh grade at Industrial High School, he moved to Youngstown, Ohio with an older sister where he completed Rayen High School. Dr. Carter was awarded the Bachelor of Science degree in education from Alabama State University, the Master of Arts degree and a six year certificate in Guidance and Counseling from the University of Alabama; the Master of Divinity degree from Morehouse School of Religion in Atlanta, Georgia, and the Doctor of Ministry degree from United Theological Seminary in Dayton, Ohio. 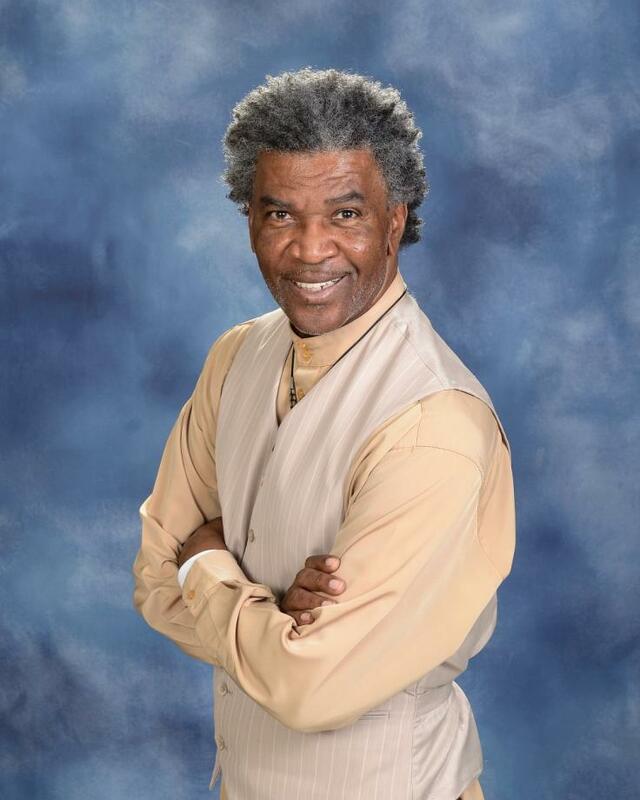 Dr. Carter’s first teaching assignment was at Cobb Avenue High School in Anniston, Alabama where he taught art and history for six years before returning to his birthplace where he worked as a classroom teacher and as an administrator. At retirement, he had worked thirty years in Alabama as an educator. Dr. Carter answered the call to the Gospel Ministry and was licensed to preach under his father. He was ordained to serve as his father’s co-pastor at Liberty Baptist Church in Tuscaloosa, Alabama. He served with his father for two years. He left the position with his father and accepted the pastorship at Salem Baptist Church, Greensboro, Alabama. He served as pastor there for twenty-three years. Upon retirement from teaching, he accepted a call from First Missionary Baptist Church, Sheffield, Alabama, where he served for thirteen years until his retirement in 2002. He also served as a Development Officer with Selma University, Selma, Alabama for one year. After a one year leave, he returned as professor of Church History, Christian Ethics, Christian Education, and Homiletics for several years. He was subsequently appointed Interim President of Selma University for twenty-eight months. Dr. Carter has served in several leadership positions at the district and state levels in religious bodies. The leadership positions include: Dean of St. Paul District Sunday School and BTU Congress for nineteen years; Dean of the Muscle Shoals District Educational Baptist State Congress of Christian Education, and as an administrative assistant to the President of the Alabama Baptist State Convention. Dr. Carter maintains membership in several national and local organizations, which include: Life Membership in the National Educational Association, Alabama Retired Teachers Association, and the International Theological Society of Theta Phi. Dr. Carter was married to the beautiful and charming former Willie M. Matthews who passed away July 2009. He has two sons and grandson. 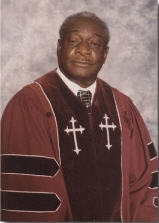 Dr. Carter served as Interim Pastor of First African Baptist Church, Tuscaloosa, Alabama from November 2004 through August 2006. Rev. Edward J. Turner, Sr.
Edward James Turner Sr. was born during the morning of December 24, 1977 in Burlington, North Carolina. He was the second child of Douglas and Pamela Turner. His older sister is Candace Rather and his younger brother is Phillip Turner. They were reared in Yanceyville, North Carolina. 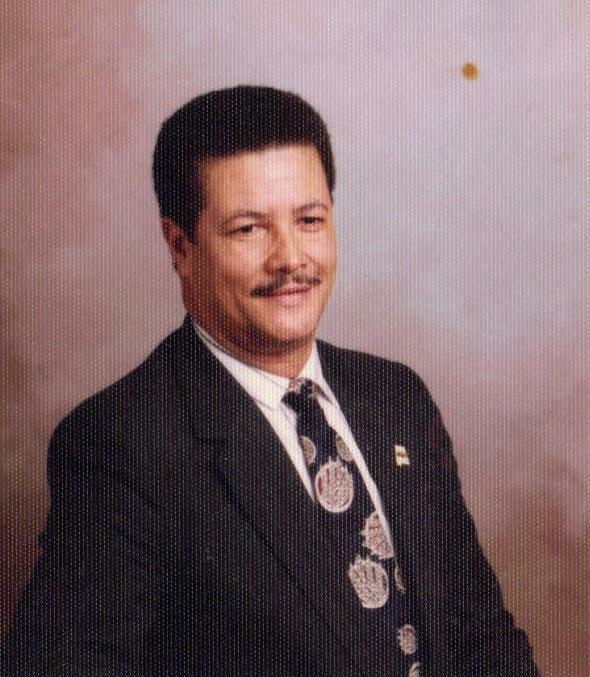 He attended Anderson Elementary School, Dillard Junior High School, and Bartlett Yancey Senior High School. During his years at Anderson Elementary, Edward was a member of Cub and Boy Scouts. At age 11, Edward was baptized at Smith Chapel Baptist Church (Pelham, North Carolina) by Rev. Jimmy Richmond. While in high school, he excelled in football, track, and band. He was nominated for the national Wendy’s High School Heisman that was the result of his performance academically as well on the athletic fields. Edward graduated from high school in 1996 as a North Carolina scholar. After high school, Edward attended the North Carolina Agricultural & Technology State University (A & T). While at A & T, he became a member of INROADS Inc., a national non-profit organization dedicated to developing and preparing talented minority male/female college students for corporate and community leadership. He graduated from North Carolina A & T in 2001 with a Bachelor of Science in mechanical engineering and certificate in Waste Management. He moved to Charlotte and began work for the company that provided him an internship during college as a manufacturing engineer. On May 24, 2002, he married his best friend from his hometown LaTisha Sharon Lea, after dating since 1999. After almost one year of marriage, they were blessed with their daughter De’La Amari Turner who was born April 3, 2003. In 2005, the Turner family moved back to their hometown of Yanceyville, North Carolina. During this time, he began to work with Mannington Hardwood Floors located in High Point, North Carolina as a Process Improvement Engineer. In 2007, his job with Mannington relocated him to their Epes, Alabama facility. The Turner family decided to reside in Tuscaloosa, Alabama. On February 15, 2009, they were blessed with Edward James Turner Jr. In March 2009, Edward announced that he had submitted to the calling into the gospel ministry. 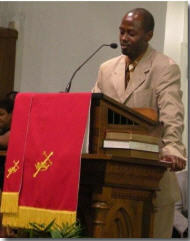 He preached his initial sermon on July 12, 2009 at First African Baptist Church. Currently, he is enrolled at Birmingham Theological Seminary pursuing a Master of Arts in Ministry (Pastoral Leadership Concentration) degree. As God is still working miracles in his life, his goal in the ministry is to share the beauty of God’s love to all of his children, to be a “world changer;” changing the world one mind at time. Making Christ known is the only way to change someone’s heart. Do you know Jesus Christ? If you do not know him, I would like to introduce to you this mediator. Rev. Bryant Melton is formerly from Sprott, (Perry Co.) Alabama and a graduate of Lincoln High School. While at Lincoln, he served as President of the SGA as well as the President of his Senior Class. He graduated from Stillman College with a BS Degree in Chemistry. Additionally, he did graduate studies at Alabama A & M. University, Tennessee State University, Drury College in Springfield, Missouri, Tuskegee University and the University of Alabama. On August 11, 2000, Bryant Melton was awarded an Honorary Doctor of Laws Degree by Alabama A. & M. University. Brother Melton join First African Baptist Church in 1964 under the pastorate of Rev. T.Y. Rogers, Jr. He is an active member having served in various positions and activities of the church. After the untimely death of Rev Rogers, he served on the Pulpit Search Committee and was fortunate to bring Rev. W.E. Pitts from Missouri to serve as Pastor. He served as a Trustee and later became Chairman of the Trustee Board. During his Chair of Trustees, we fought Bats in the Church Attic and started the Church Building Fund. The church underwent major Exterior Renovation including Tuck Pointing all the Exterior Brick work. Under the leadership of Dr. James O. Ellis, the church underwent several Million Dollar Expansion, including Fellowship Hall and Classrooms were constructed and later naming the Fellowship Hall the James O. Ellis Fellowship Hall. It was dedicated with Resolutions and Proclamations in his honor. He also was a member of the Male Chorus. Rev. Melton was elected to the Alabama State Legislature in November of 1982 and he was re-elected seven (7) times and retired in August 2006. He was the first Black Legislator elected in Tuscaloosa County since Reconstruction. He sponsored several major bills in the legislature. Some of the most notable bills are: to change the Tuscaloosa City Commission from a three member commission elected at large to a seven member city council elected from single member districts; to change the Tuscaloosa County Commission from a three member commission elected at large to a four member commission elected from single member districts, to change the Tuscaloosa City Board of Education from an appointed board to an eight member board where seven are elected from single member districts and the chairman is elected at large; He was sponsor and co-sponsor of the Mercedes bills that brought major change to Tuscaloosa and West Alabama including jobs and economic development. He is very involved in the Tuscaloosa Community. He is a member of the Alpha Phi Alpha Fraternity, Inc.; a 32nd Degree Mason; member of the Alabama New South Coalition; SCLC; member of Stillman College Alumni Association; and life member of the NAACP and former president of the Tuscaloosa County Chapter for ten (10) years, from 1972-1982. During his tenure as president, he was responsible for starting the Annual Emancipation Proclamation Program and the Annual Human Rights Award Banquet. Melton has a history of leadership and service. He is a founding member of the Board of Directors of West Alabama Sickle Cell Association, a former member and Chairman of the Alabama Sickle Cell Oversight and Regulatory Commission, and former Chairman of the Board of Directors of the Community Service Programs of West Alabama (CSP). Melton is a founding member and former Chairman of the Board of Directors of the McDonald Hughes Multi-Purpose Community Center. While serving as chairman, a two million dollar expansion was completed that more than doubled its size. He was a Scout Master for the Boy Scouts of America where five boys including his son Tony received the prestigious Eagle Scout Award under his leadership. He supported many non-profit organizations including the Murphy African American Museum. Rev. Melton has received numerous awards and honors. In 1982, He was chosen as Man of the Year of the Alpha Phi Alpha Fraternity, Inc. In 1983, he received the Citizen of the Year from the Zeta Phi Beta Sorority, Inc., Man of the Year from The Christian Study Center of Alabama, and the NAACP Distinguished Presidential Award for Exceptional Leadership and Devoted Service. He received the Distinguished Alumni Award from the Stillman National Alumni Association in 1984 and 1987. In 1996, Melton was elected Legislator of the Year by the Mental Health Consumers of Alabama. In 1988, Melton received the Community Service Award from the Alpha Kappa Alpha Sorority, Inc.-South Eastern Region. In 1999, Melton was presented with Distinguished Service Awards from the Alabama Education Association and the Department of Industrial Relations. In 2000, he was elected Legislator of the Year by the Mental Health Commission, received an Award from the Tuscaloosa County Preservation Society and the Murphy African American Museum (MAAM) for his contribution for the renovation of MAAM. Rev. Bryant Melton is married to Emma Jean Holmes-Melton, a wonderful wife, mother and grandmother, of Midway (Bullock Co.) Alabama and they are the proud parents of three outstanding and intelligent children and seven lovely grandchildren-Tony B. Melton (Lisa Kay and sons Tyler and Trevor); DeLisa M. Tolbert (Tony and son Justin and daughters Lauren and Rachel ); and Dr. Emily M. Bell ( William and sons William III and Ethan). Rev. Bryant Melton responded to the call of ministry and preached his Initial Sermon, August 29, 2010, at First African Baptist Church, Tuscaloosa, Alabama. I find that it gives me a peace of mind when I am doing what the Lord wants me to do. I believe that the Lord wants us to work for Him as we help to build His kingdom. You will have joy and happiness serving the Lord by helping others. I know that I have more joy as I serve my Lord and savior, Jesus the Christ. I believe that to preach the Gospel of our Lord and Savior, Jesus the Christ is to preach the truth about God, our Lord Jesus and to tell the truth about our salvation. He is presently enrolled in the Birmingham Theological Seminary pursuing a Masters Degree in Religion.